It was sunny this morning! Finally!! But I got up late as I was writing diaries till late at night. WIth Lucy, I had a late breakfast. Crumpets with Marmite and butter. Very British. 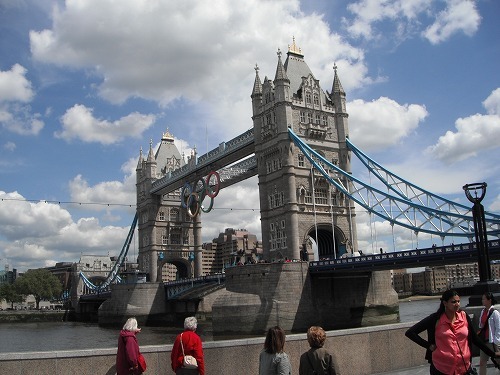 The bridge can be seen from London Bridge is "Tower Bridge". 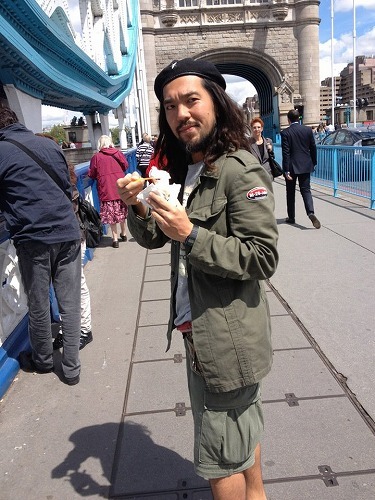 I thought that was "London Bridge". Current London Bridge was built in 1973, so it is very modern bridge. 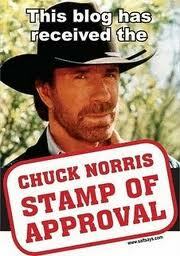 The stone bridge used before current one was sold to American entreprenuer Robert McCulloch for US$2,460,000 in 1968. It is now rebuilt on Lake Havasu, Nevada. 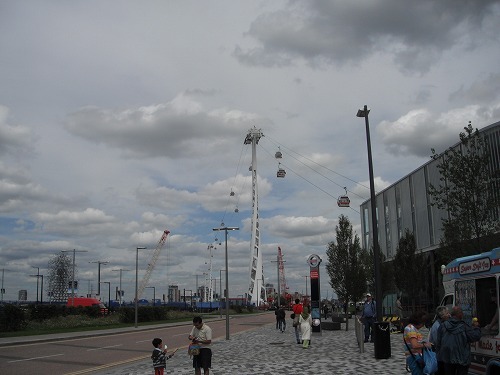 We walked along River Thames towards Tower Bridge. Then Lucy told me "You will like the sign." 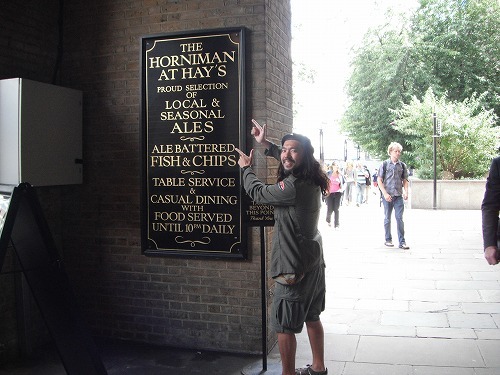 It was "HORNIMAN"!!! When I was in Ecuador, with Adam I found "Horniman" tea bags in a supermarket. We were really happy to find such tea brand name. 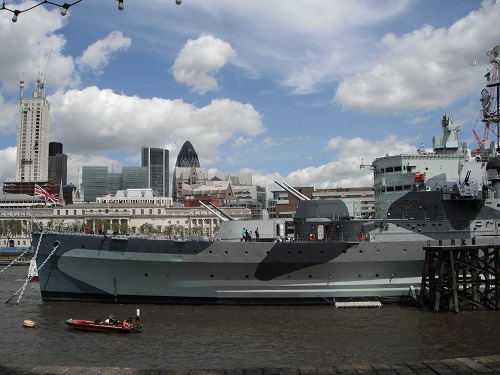 There was a light cruiser HMS Belfast on River Thames. 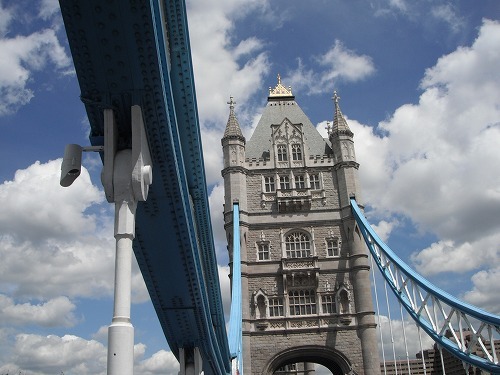 The cloer view of Tower Bridge. 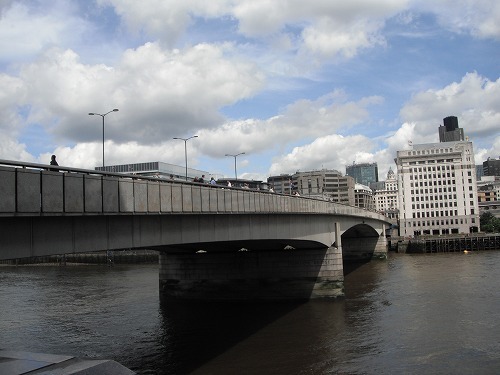 This bridge is more well known as a landmark of London than London bridge. A view of River Thames from Tower Bridge towards London Bridge. 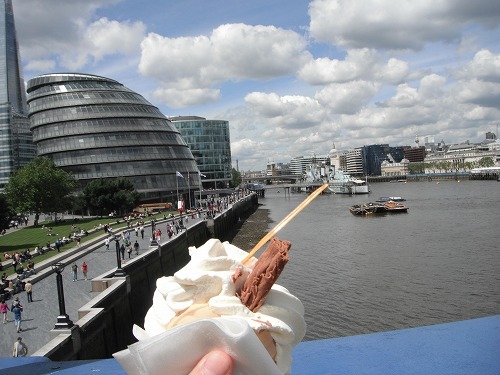 It was a good day and the soft served cone from Mr Whippy was really good! 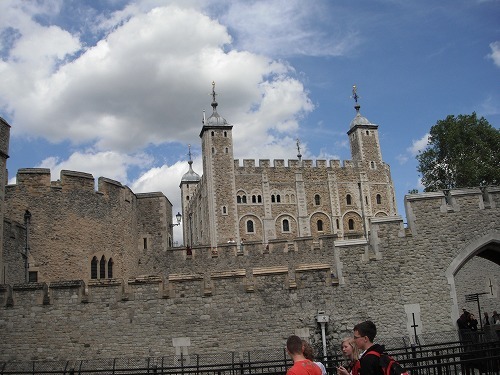 This is the "Tower of London". It does not look like a tower at all, in my opinion. The actual name of this is "Her Majesty's palace and fortress". It would be interesting to have a look inside if the tower, but it cost 17 ponds, so I just looked around outside. We walked along a canal and found a vassel used by the Queen for her Jubilee (maybe). 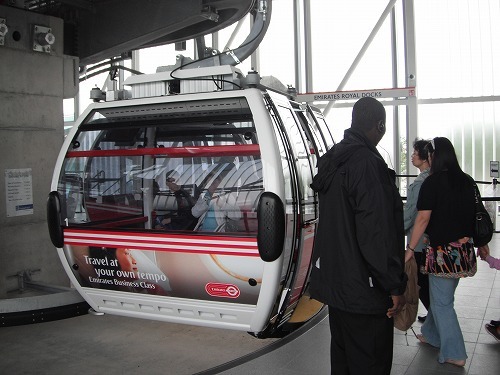 We caught a train and hopped on a cable car. 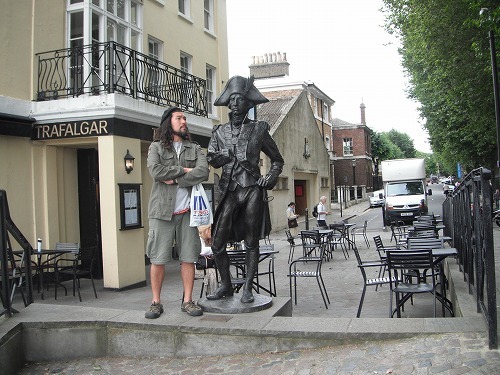 Well, I was enjoying being a "tourist". 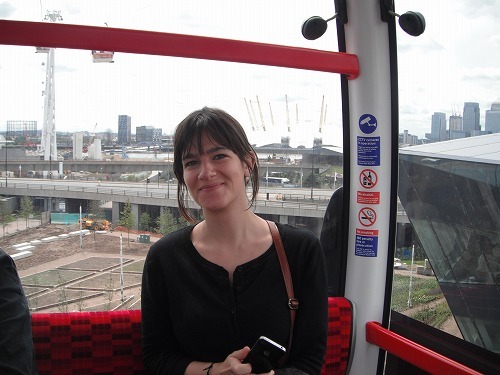 Londoner Lucy was having fun on the cable car too! It was just built, so not many tourists were riding on it yet. 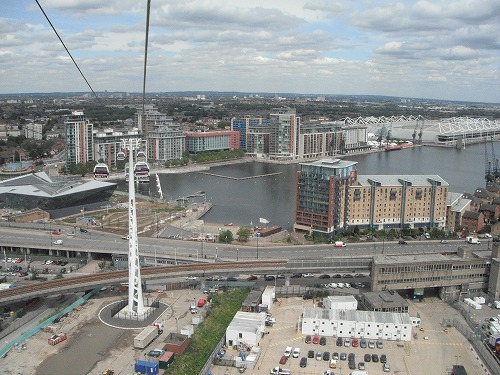 Once we crossed River Thames on the cable car, it was Greenwich. Old Navy School locates there. Talking about the British Navy, he is the man - Viscount Horatio Nelson. This is Old Navy School. 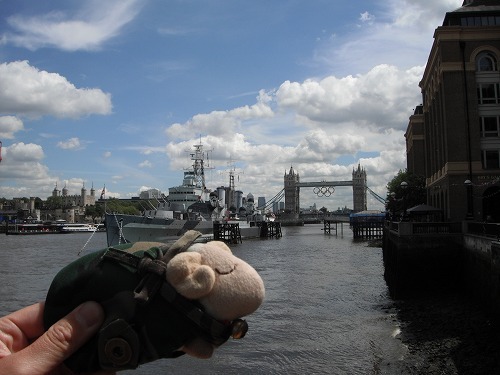 I reckon many students from Japan studied there (Japanese Navy adapted British Navy style). 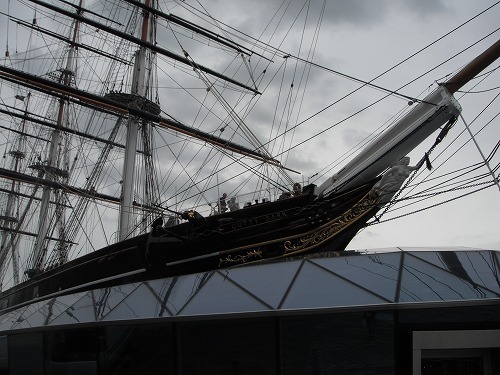 The famous Tea clipper "Cutty Sark". 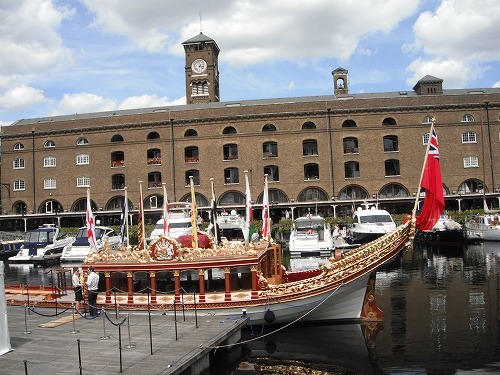 This was one of the fastest Tea Clipper at the end of tea shippment by sailing ships. With her rival Thermopylae, she raced from China to London carrying tea. 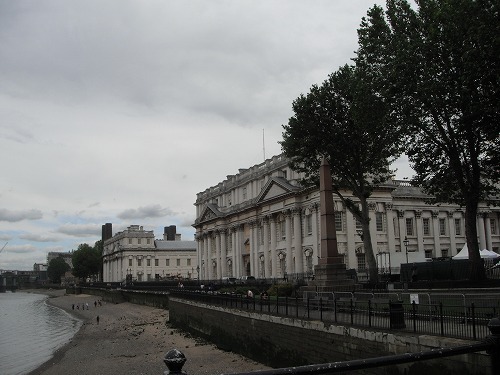 Lucy had to go to a bank, so I walked to Greenwich Observatory, hut due toOlympic events preperrations, the park area was closed... And it started to rain, so I took trains back home. 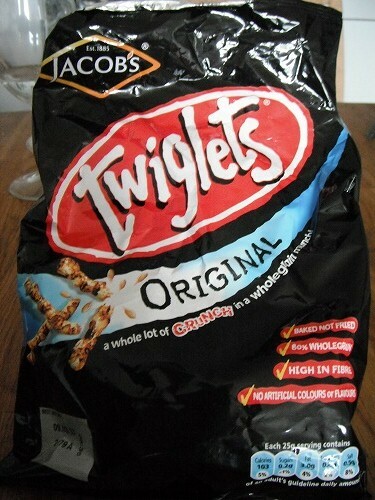 Oh, Lucy intorduced me "Twiglets" - Marmite flavoured snack. It tastes little like Japanese rice cracker at first, but then the taste of Marmite overwhelm in the mouth. It has very strong Marmite flavour, but I like it.